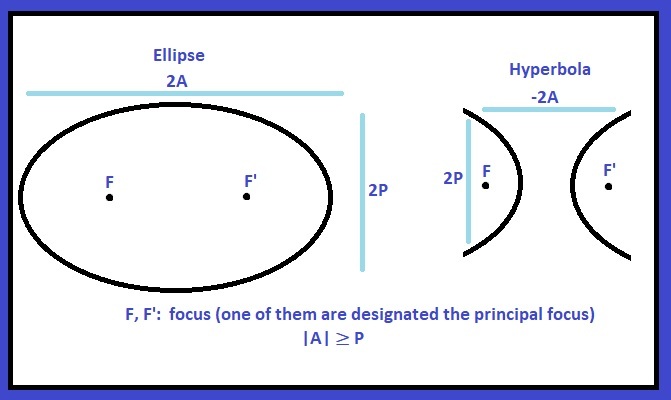 The point on the conic section where it is closest to a primary focus (which is designated at one of the two foci F or F’). The point on the conic section where it is furthest away from a primary focus. Note for a hyperbola and a parabola, the apogee is ∞. The inputs are the lengths of the semi-major axis (A) and the semi-minor axis (P). For a hyperbola, input A as negative.